J.S Howard is proud to offer the residents of Moore County all generator related services for both residential and commercial properties, including new Briggs & Stratton Generator Sales, Generator Repairs & Maintenance, and Generator Rentals for any kind of event. J.S. Howard Electrical has been installing and renting generators as well as providing generator maintenance services throughout Moore County, including the towns of Southern Pines, Aberdeen, and Carthage for over two decades. And we know how important backup/auxiliary power can be for businesses and individuals. 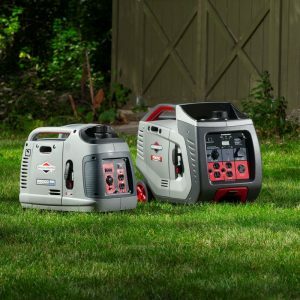 That is why we have partnered with Briggs & Stratton as a certified dealer of their high quality generators. So whether you are looking for reassurance in your home or business or would like to rent a generator for any type of special event, J.S Howard has you covered. If you live anywhere in Moore County or the surrounding area and would like more information about any of our Generator Services including Installations, Rentals, and Repairs. Please give us a call at (919)-774-1650, email us at lisa.jshoward@windstream.net, or click the button to fill out the online form below.